Nato Thompson’s dream for Philadelphia Contemporary is to create a “multidisciplinary kunsthalle” that will celebrate the historic city’s subculture as much as its culture. 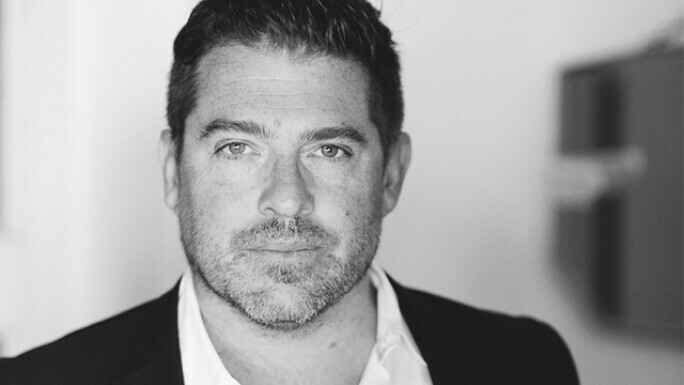 Appointed to the role of artistic director of the non-profit last November, Thompson says that he looks forward to it being “a locally, civically engaged international art institution”. 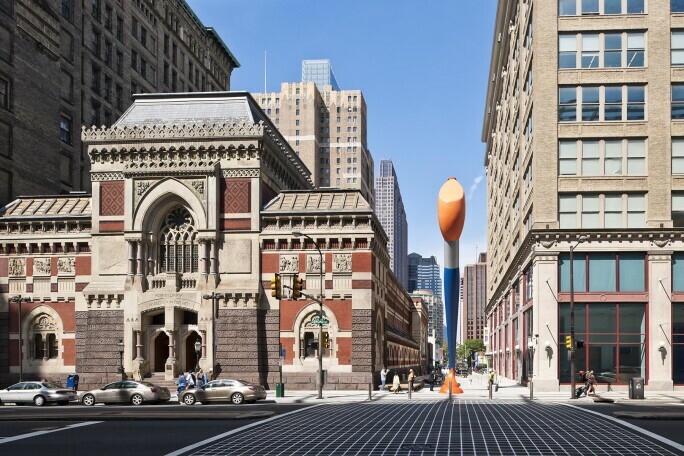 F or now, the organisation has no permanent home, but he is working with architects to ensure this will happen by 2021; in the meantime Philadelphia Contemporary will continue working on public art projects, as initiated by founder Harry Philbrick. Pennsylvania Academy of Fine Arts. 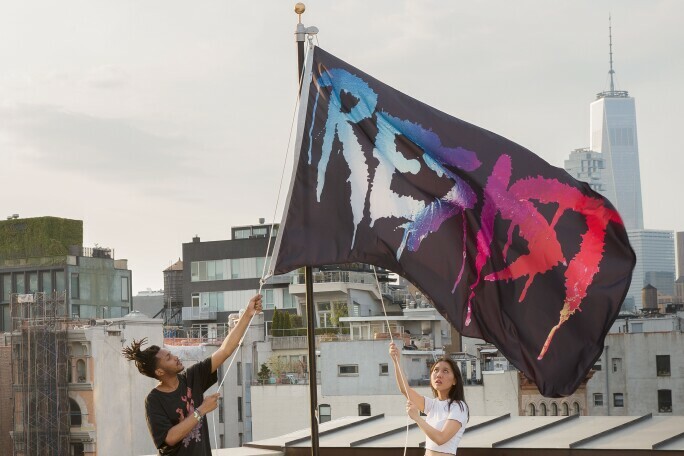 Marilyn Minter, RESIST FLAG. Photo: Guillaume Ziccarelli. Courtesy of Creative Time. His agenda of inclusivity stretches to local institutions as well. “We’re being very collaborative with a lot of institutions in the area, giving them space to do projects and trying to be as ‘team spirit’ about the ways we work as possible”. 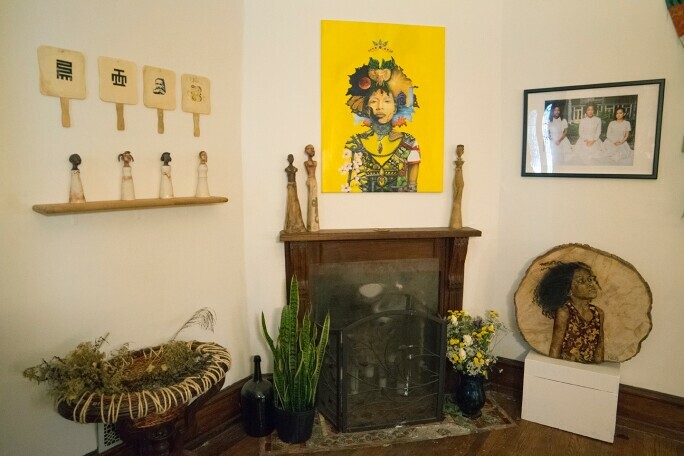 Some of Thompson’s favourite institutions in the city include Little Berlin, an artist-run space founded in 2007, The Coloured Girls Museum – a museum devoted to the stories and history of black women – and coffee house Amalgam Comics, along with established spaces such as the ICA, Temple Contemporary and, of course, the renowned Barnes Foundation. 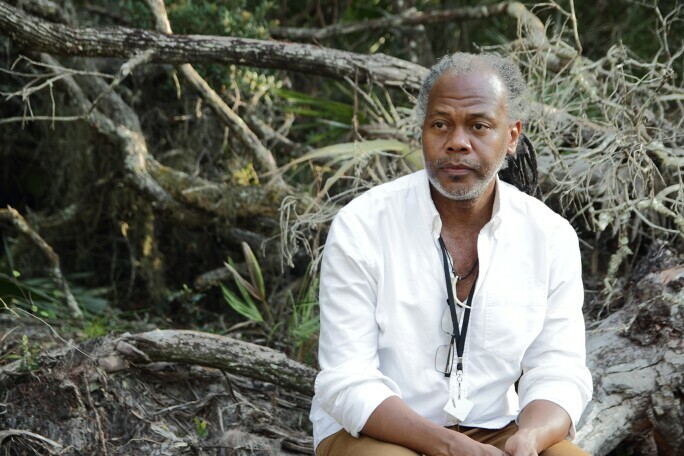 After the Festival for the People Thompson will be presenting a project with choreographer Reggie Wilson in partnership with Partners for Sacred Places and the Danspace Project. “It will be an experience of performances in different churches in the city – you will walk from one to the other – which is really exciting.” At the same time he is busy working on and raising funds for a permanent home for Philadelphia Contemporary, one that can accommodate his broad vision and the great love he has for this vibrant city. Reggie Wilson, Photo: Aitor Mendilibar.